His new role will be Senior Advisor in the tax department. Ron Zilka, Ryan Churness, and Jen Stavish will pick up many of Eric’s duties as time goes on. Eric started at Laventhol & Horwath (L&H) Minneapolis in 1981. 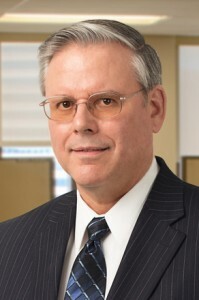 Eric transferred to the Boston office of L&H in 1983, and returned to the Minneapolis office in 1989. SDK was created as L&H dissolved in Minneapolis. He became a shareholder in 1995 and has served clients with a high level of expertise and professionalism over that time. In the short term, Eric will continue to work as a senior advisor and assist the firm in the tax practice and help to transition his clients. Eric and Jan reside in Dellwood. They have three adult children and one grandchild. We are incredibly grateful for Eric’s contributions and expertise over the years—he’s certainly one of the best! We will hold an open house to celebrate Eric, along with the promotion of two senior managers, Nicole Brown and Ryan Churness, to shareholder, later this spring, after tax season. I thank you for the many years you have helped me with taxes .I cannot believe how quickly time has passed . I wish you the best in life .